Today Harper Lee reaches from beyond the grave to render a verdict on Donald Trump—or at least Donald Trump’s taste in casino design. Her opinion was not high. The New York Post reports that several letters written by Lee are going up for auction. 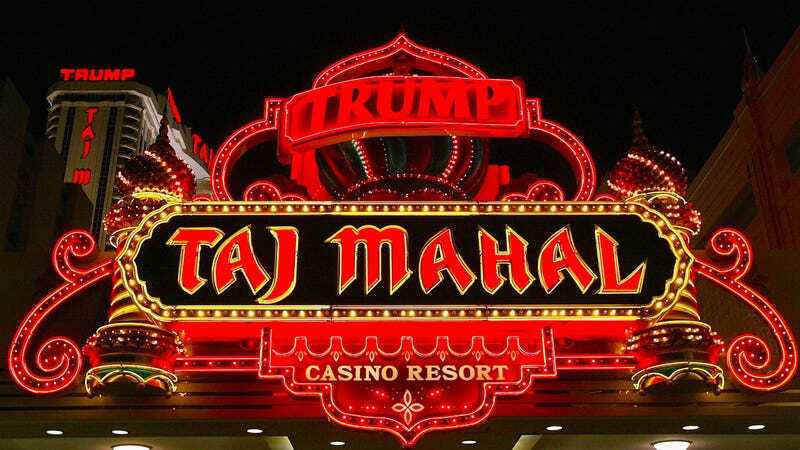 Among them: one in which, having returned from a recent visit, she paints a picture of the Trump Taj Mahal casino and resort in Atlantic City as hell, or close enough until the real thing comes along. “The worst punishment God can devise for this sinner is to make her spirit reside eternally at the Trump Taj Mahal in Atlantic City,” Lee wrote to in an Aug. 25, 1990 letter from her East 82nd Street pad in New York City to longtime friend Doris Leapard in Tuscaloosa, Alabama. It’s enough to make you get religion. Photos via Getty, AP Images.